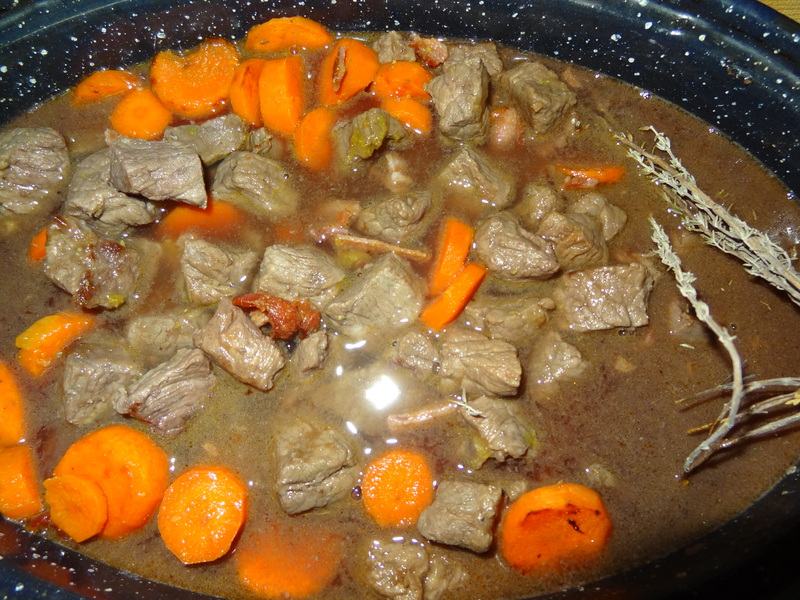 Julia Child’s boeuf bourguignon is AMAZING! This is my take on her recipe. 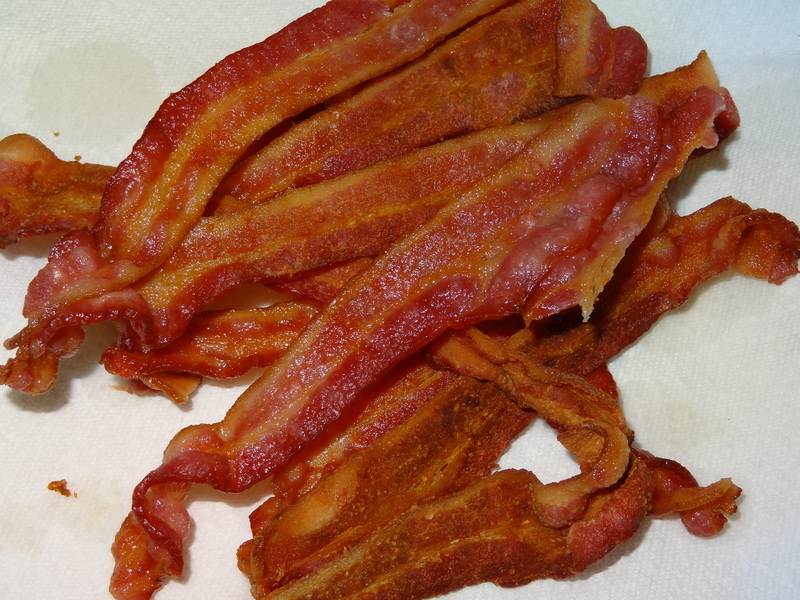 Cook slices of bacon in the microwave. – when cooked, keep aside. – You will need just 4-5 slices. Take your piece of beef and cut into pieces. – I took the leanest cut. Dry beef in paper towels; it will not brown if it is damp. 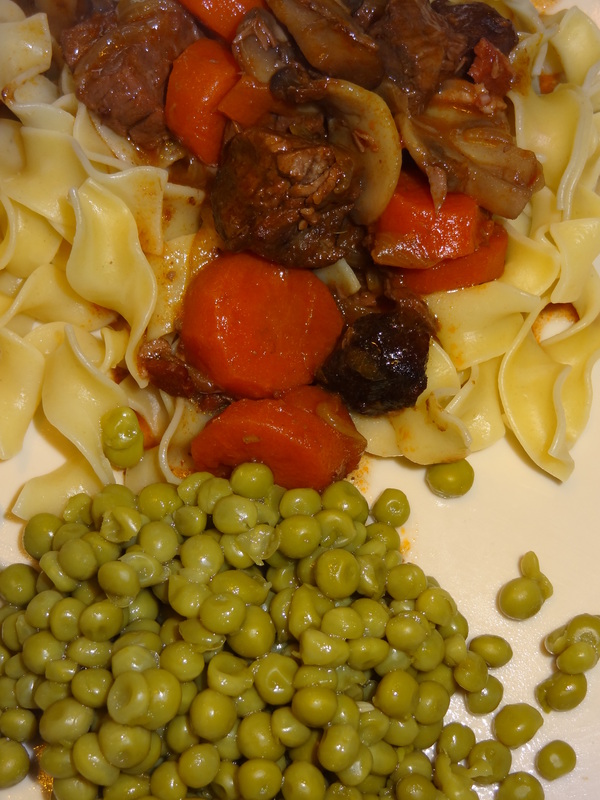 Heat Extra Virgin Olive oil in casserole. 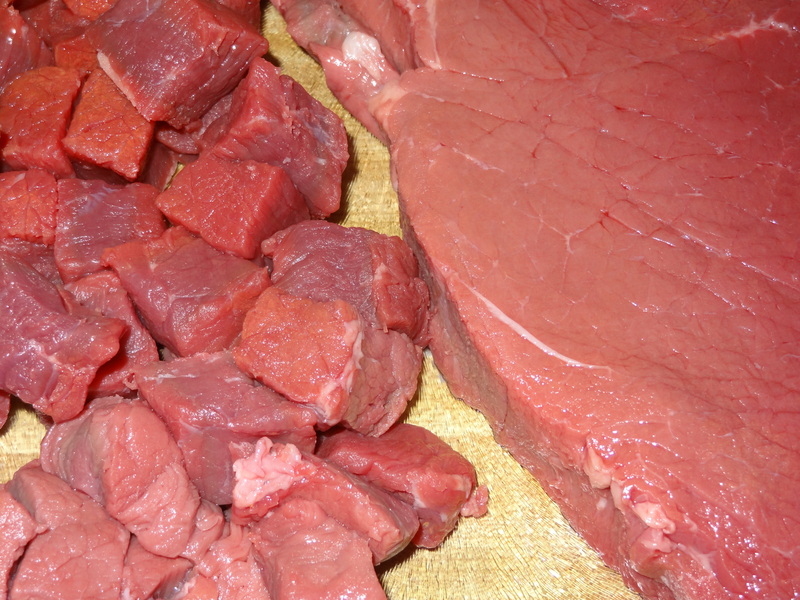 Add beef, a few pieces at a time, and sauté until nicely browned on all sides. Remove and keep aside. 5. Prepare 2 carrots and slice. 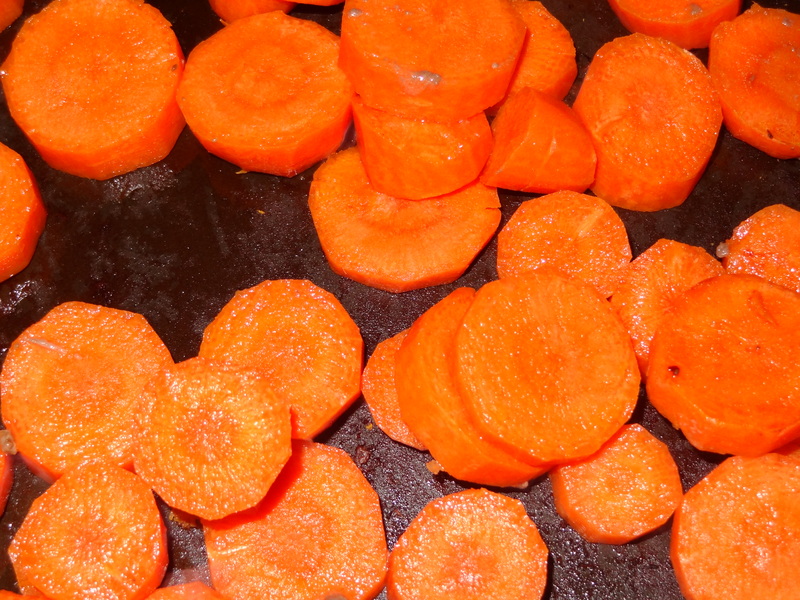 Brown the sliced carrots in some Olive oil. Set aside. 6. 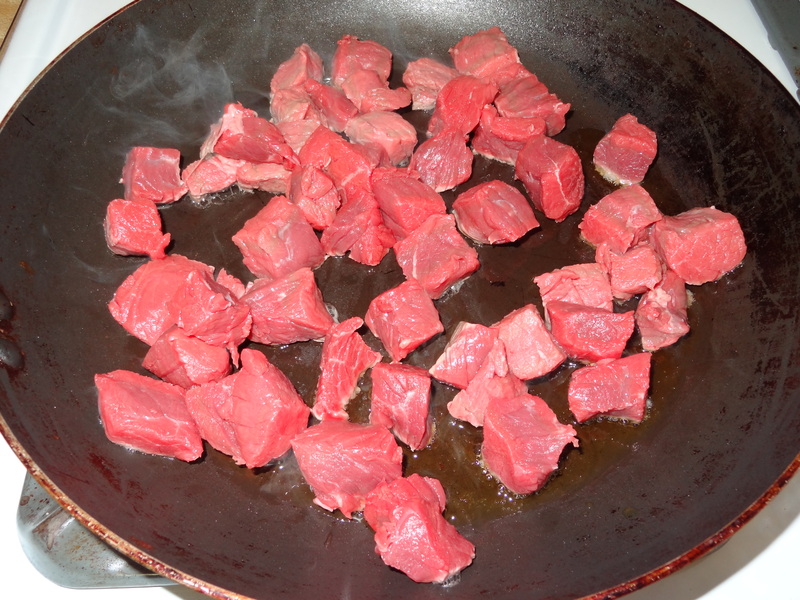 Return the beef to the pan and toss with 1/2 teaspoon salt and 1/4 teaspoon pepper. 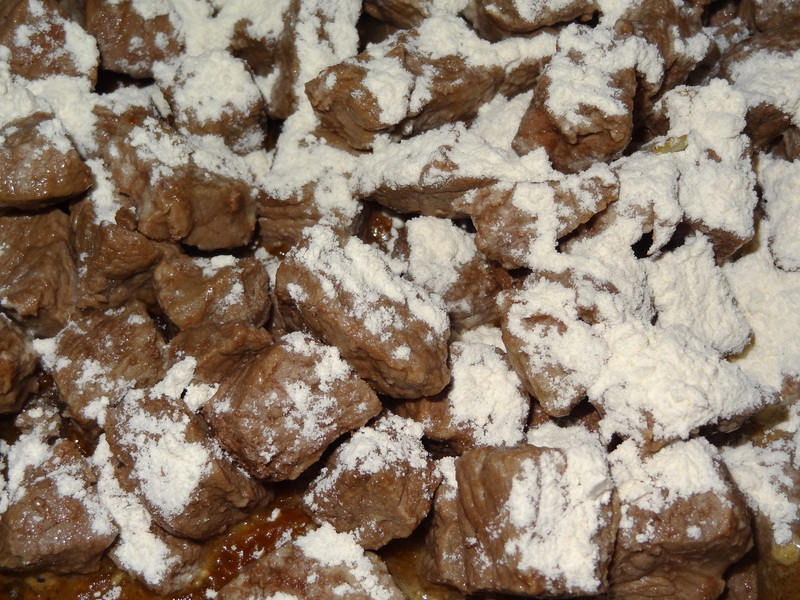 Then sprinkle on the flour and toss again to coat the beef lightly. 7. 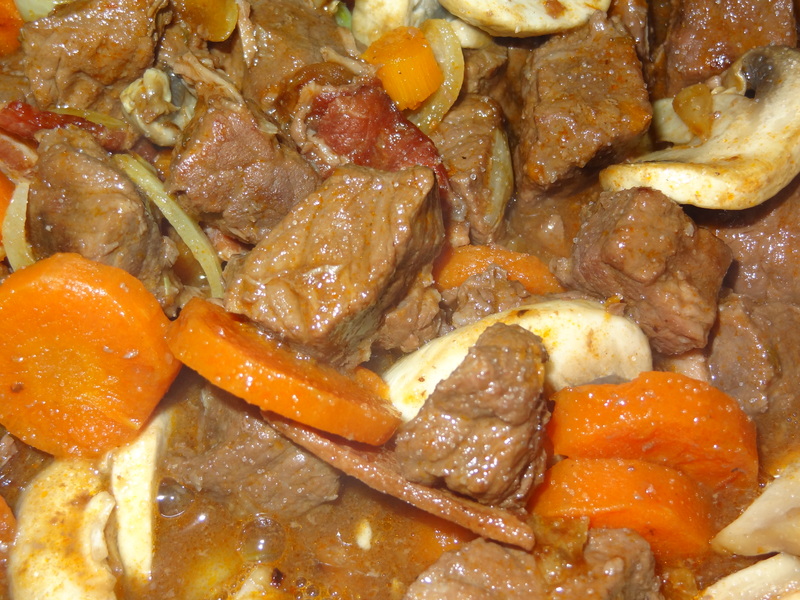 In a covered casserole that can go in the oven, put the beef, crumble slices of bacon, add carrots together. 8.Stir in wine and 2 to 3 cups stock, just enough so that the meat is barely covered. 9.Add the tomato paste and thyme. 10.Cover casserole and set in lower third of oven. Regulate heat so that liquid simmers very slowly for 3 to 4 hours. 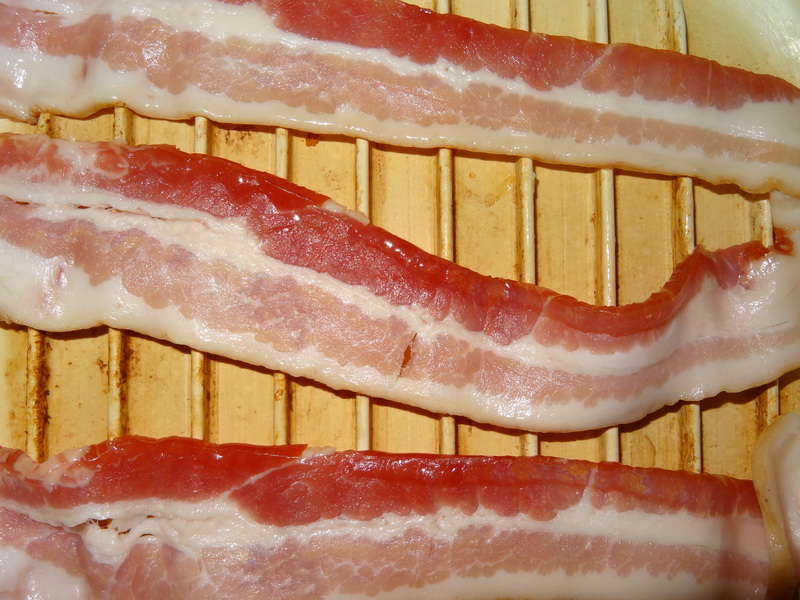 The meat is done when a fork pierces it easily. 11. 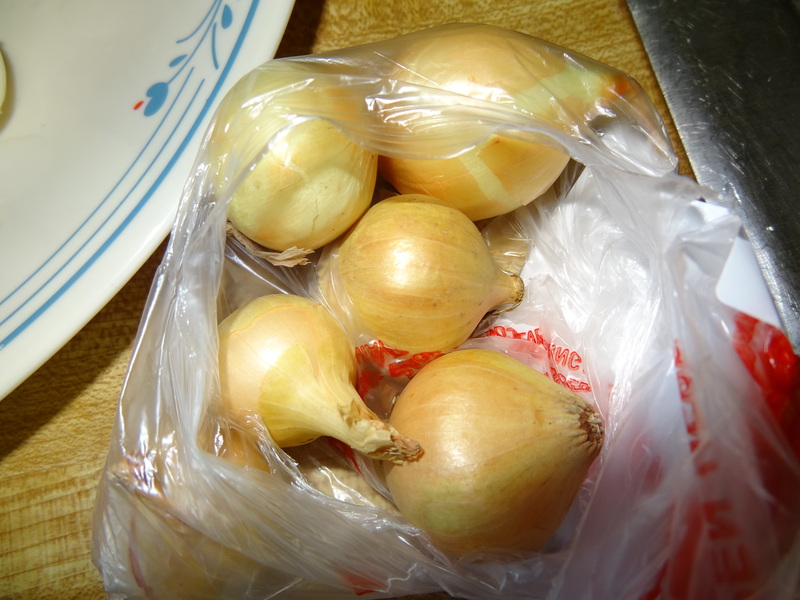 While the beef is cooking, prepare the onions. Saute in some Olive oil. Set aside. 12. Clean and cut in slices mushrooms. Sauté in some olive oil with crushed garlic. 13. 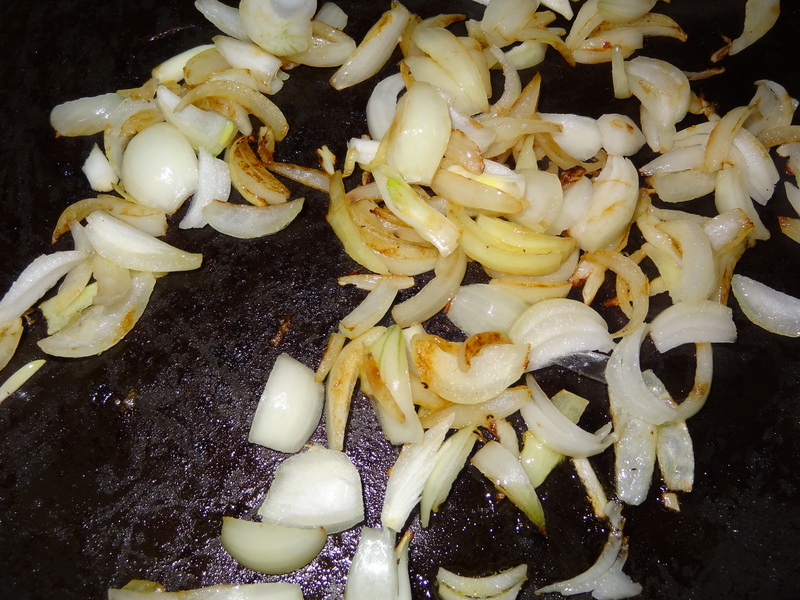 When the meat is tender add mushrooms and onions. Let cook 30 more minutes together. 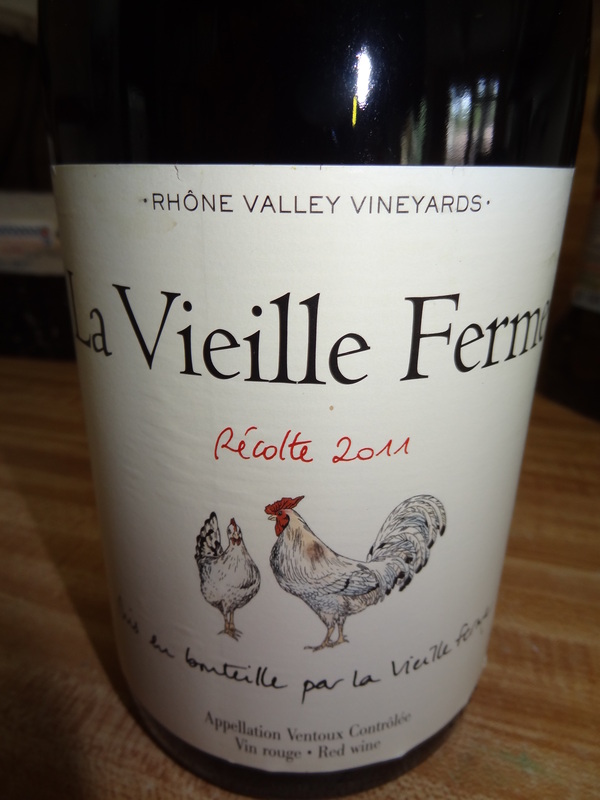 Add wine/bouillon if needed. serve with small potatoes, noodles or rice and French peas.